In 2002, I proposed to a group of writer friends the idea of an organization formed solely for the benefit of writers, both professional and aspiring, in the Richmond and central Virginia areas. These writers agreed, seeing the need and opportunity to support the growth of the region’s literary community. With co-founder Phaedra Hise and a hardworking board of dedicated local writers and enthusiasts, we started what became the James River Writers. The inaugural annual writers' conference was held in October 2003, and has since become a notable fixture on the writers' conference circtuit oin the East Coast. JRW has grown into multi-faceted and influential non-profit organization that serves as central Virginia’s literary hub and a welcoming harbor for anyone who loves the written word. Beginning and professional writers alike, as well as passionate readers in all genres, benefit from a variety of programs, services, and events, often presented in partnership with other cultural organizations. JRW is supported by government grants, foundations, corporate partners, and the generosity of their members. In 2008, I joined with co-founder Lindy Bumgarner to start the Podium Foundation, in order to better address the creative needs of our city's youths. Podium provides gives Richmond high and middle school students programs and mentorship to explore their passions for the literary arts while improving essential writing and communication skills. Podium also provides Richmond city school teachers with support to keep the education of writing alive and growing in our public schools. Every school year, interns and volunteers organize after-school clubs where students receive writing instruction, create original content, and share this work to be critiqued by their peers. The efforts of Podium members culminate in an annual, school district-wide literary and arts journal. Students select the works to be published as well as design the professionally printed journal. The journals are distributed across the Richmond public school system as well as the greater community. 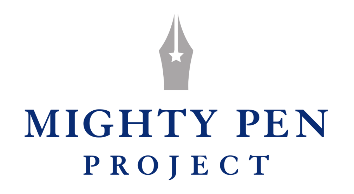 ​The Mighty Pen Project was founded in 2014 by bestselling historical fiction writer, professor, playwright, and philanthropist David L. Robbins. In partnership with the Virginia War Memorial, the Mighty Pen Project provides writing instruction and continuing writing support to those who have experienced our nation’s military events either through service or as a supporter of the military. A major strength of our writing program is our class composition, allowing us – and the participants – to see lives of service and world events through a diversity of lenses, encompassing veterans, spouses, family members, and friends spanning every military uniform through eras of conflict and times of peace. The many written historical narratives and literature that emerge from our classes are the focus and content of our online Anthology & Archive, selections from which are printed annually in our journal. 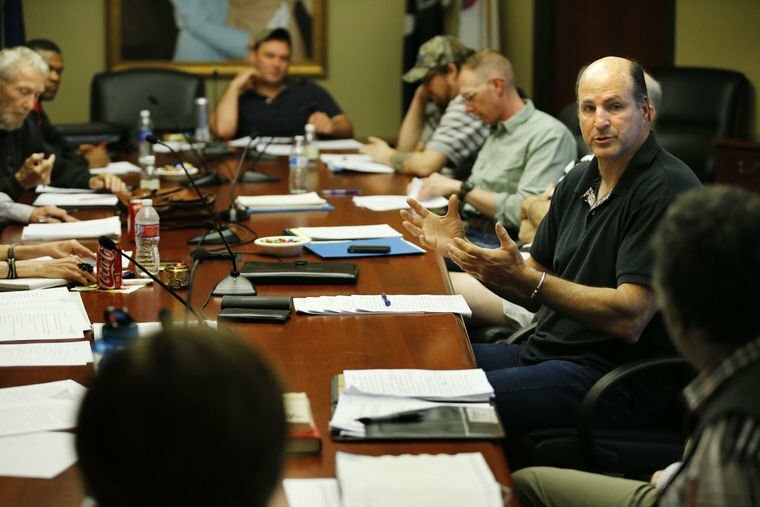 In The Mighty Pen Project’s free, semester-length collegiate-level writing classes, veterans and their supporters are given the academic tools, rigor, and continuing support they need to most effectively tell the stories of their choosing. Classes are taught by university writing professors and held year ‘round. Veterans and their supporters have stories to tell. They carry important experiences and emotions with them during, and often long after, military service. Their stories are always laden with personal import and, frequently, with vital historical perspectives. The Mighty Pen Project provides a variety of programs to memorialize these lives and recollections of service, in order to share their important lessons with our community and keep them ever-present in our culture. ​ If you're a veteran and think you'd like to learn how to tell your story in a supportive community of like-minded writing veterans, please visit the website below to learn more, or apply for one of the 12 week sessions conducted year-round. Or contact David for more information.